American oak laminate flooring is one of our top picks for a design that sells in serious volume. You’ll find American oak in laminate flooring collections across the globe, often taking the top spot or front page of marketing materials. Due to the unique wood grain and beautiful hue, American oak laminate flooring is suitable to be installed in pretty much any place you like. 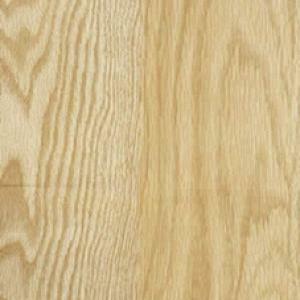 Some consumers prefer oak laminate flooring to real wood flooring because of its higher durability. To make American oak laminate flooring more like real American oak flooring, Sunspeed use a special craft process to produce v groove laminate flooring which makes laminate flooring appear three dimensional and look more like real wood products. That’s why American oak laminate combined with this option, which you can select in the quote cart, will give you a product that looks and feels like real wood flooring. Sunspeed Flooring provide various types of oak laminate flooring besides American oak laminate flooring such as rustic oak, cottage oak and harvest oak flooring. You’ll find these designs and more on the laminate oak flooring page. Regarding abrasion quality, AC3 laminate flooring is a good choice because of its wide applicability.